I love beach soccer because it's full of fun. Most people play beach soccer in the summer when the sand is really hot. But some people also love to play the game in winter too! As it is a fun game you don't need to follow 100 of rules to start playing. To play this game, you need some protection for your feet. You only need a pair of sand socks. Don't worry, sand socks are extremely cheap. 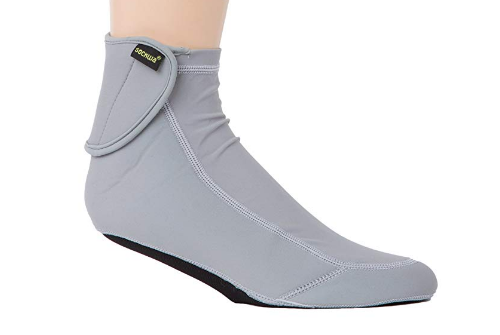 There are a lot of good quality sand socks available in Amazon (Amazon link) which are under $10. Visit Amazon.com and buy the most suitable one & start the game! Why you need sand socks? Sand socks are designed for beach sports players (volleyball & soccer) to keep them comfort and protect them from both hot & cold conditions. 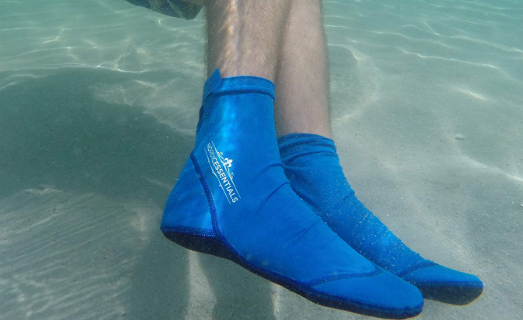 They also keep your feet safe from abrasive sand, coral, sharp rocks, blisters & rashes. Sand socks are thin, light and easy to wear. Most sand socks are made from high-quality materials to keep your feet dry and clean all the time. Definitely, it will help you to perform better. You have to be more careful about sizing to ensure a perfect fit. Best socks for protecting your feet while playing beach soccer on a hot day. Last year I used them both in warm sand and cold sand. They are awesome & life saver! They work great in all weather. They fit nicely. These sand socks are thin, lightweight, soft, comfortable, durable and dry fast. It has plenty of design. So, you have the option to choose the most suitable one for you. For its tighter elastic ankle band, sands don't get inside. They will protect you from sleeping as well. They are machine washable but it can decrease their lifespan. So, we highly recommend hand wash & air dry. Definitely, it will last longer. If you play beach soccer regularly, you will love these sand socks. They are also suitable for wide feet people. Nordic Essentials Beach Socks are well-made with high-quality materials (neoprene fabric & lycra material) to prevent feet from hot and cold sands, sharp rocks & other harmful things. These socks will keep your feet comfortable, dry & clean the entire match. They also keep you safe from harmful UV radiation when you play in direct sunlight. It has additional protection at ankle area, heel area & toes area. These premium sand socks are soft, thin, light, durable and versatile. If needs you can wear these beach socks inside beach shoes. It comes with 1-year manufacturer's warranty which allows you to return if you need a different size. Please check the sizing chart to ensure a perfect fit. The wrong size is not the products fault. If you love beach soccer, you will love these sand soccer socks. Seavenger Low Sand Socks will make both your walking and playing easy and comfortable. They are designed to protect feet from harsh sand. They also keep your feet dry and warm both in hot and cold weather. They used top quality materials and stitched securely to ensure the highest quality. It's elastic low ankle band keep sand out and ensures a perfect fit. You can use the washing machine to clean them. No problem at all! I highly recommend them for any type of sand sports. 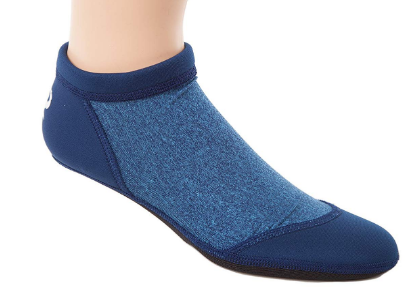 Tilos multi-functional sand socks are designed to protect feet from hot, cold & abrasive sand. These socks are best for protecting your feet while playing beach soccer on a hot day. They fit well, highly durable and very comfortable. 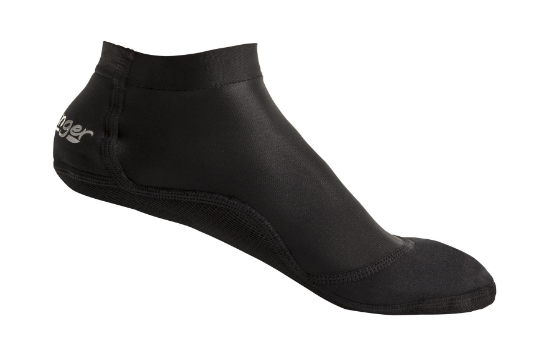 The upper of the sock is made from elastic lycra fabric and its sole is made from highly resistant neoprene rubber. I like most its adjustable ankle cuff which don't allow sand to come in and ensure the perfect fit. This best sand socks are super lightweight & easy to put on. They will last longer than other same priced socks. I recommend it to all beach soccer player because when you feel safe, you will perform better. Sockwa Playa Hi Beach Socks are best socks for beach soccer. They are designed and made only for use on sand. Upper is made from neoprene fabric to protect feet from sunburn. Its inner sole is made with cotton blended fleece for maximum comfort and outer sole is made with 3d braided fabrics which keep it scratch free on the sand. I love its ankle closure because it will keep my socks sand-free the entire match and offer a snug fit. These socks are soft, light, comfortable and machine washable. Don't give a buy order before checking their sizing chart. Heimarmene sand socks are best for walking & playing on sandy beaches. They will save your feet from hot sand, sharp objects & blisters. Its upper is made from neoprene material which keep you comfortable for a long time. Its sole is nicely dotted, which provide excellent grip to protect you from slipping. They will keep sand out from your feet. Fit nicely, very easy to put on and take off, last very long, easy to wash. Suitable for all water sports. Good socks and a very reasonable price. Recommend it to people who have a very low budget. 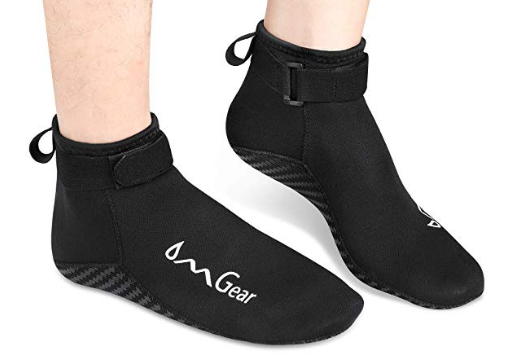 OMGear neoprene sand socks are designed to keep your feet protected when you go to play beach soccer or any other water sports. These socks are made by 4 way stretch waterproof neoprene fabric, which is soft, durable & long-lasting, which ensure a comfortable & secure fit. It has abrasion-resistant Superflex reinforced and rubber-printed sole which can handle any slippery situation. It comes with glued blind Stitching to reduce water coming in. There is an elastic loop for quick on and off. Very reasonable price. If you don't satisfy, you will get full replacement or refund. BPS smart socks are perfect for all beach and water sports. 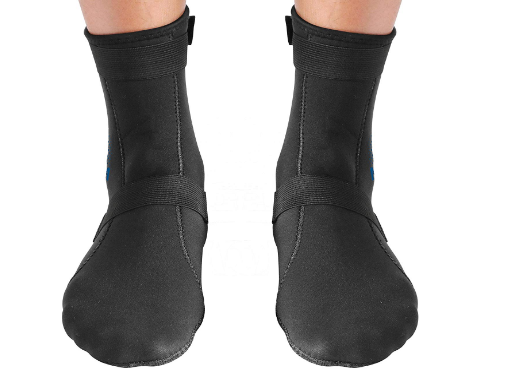 These sand socks upper is made with neoprene fabric which keep your feet safe from sunburn. Its well-made sole is engineered perfectly to keep you safe from both hot sand & slipping (during a match in wet condition). There is an elastic strap around the ankle and another strap over the top of feet to stop water and sand entry. Available in plenty of colors and sizes. They offer a full 1-year warranty. Hopefully, you will like these top rated sand socks. CAPAS sand socks are heat-proof, coldproof, sand-proof and waterproof. 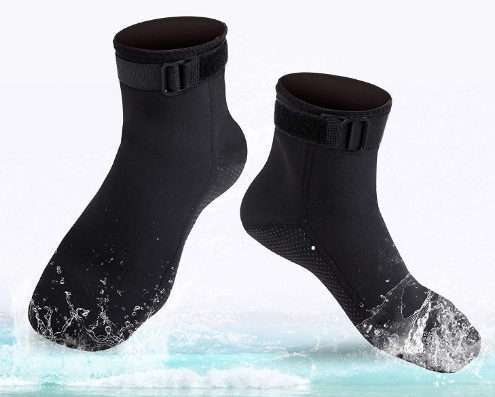 These socks are made from Neoprene, Nylon & Aramid fibres to ensure the highest quality. They are thin, lightweight, soft & comfortable. They also properly stitched to keep sand out. It provides an excellent grip on the bottom. This sand soccer socks are suitable for all types of water sports & beach sports. So keep your feet safe with CAPAS sand socks & enjoy your favourite game. You will be happy with them. 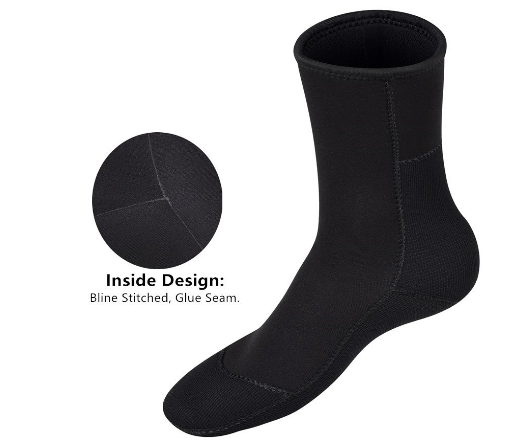 This sock is made of premium neoprene materials to protect your foot from everything harmful. It also keeps your feet dry, warm and comfortable in both hot & cold weather. Perfectly stitched & joined with velcro to prevent water and micro sand come in. There are anti-slip particles in the bottom to prevent sleeping during activity on the wet area. Perfect sock for all kinds of beach and water activity. Highly durable socks, good return policy & nice price. Beach/Sand socks are designed for safety and comfort for people who play sand sports (Beach soccer & Beach Volleyball). 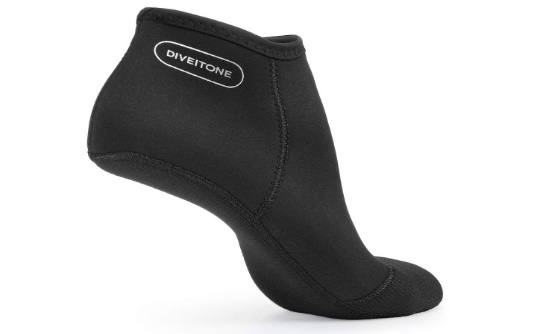 They are made of soft, elastic and breathable neoprene material to protect your feet from hot, cold & sharp sand. What's the right sand socks size for me? Following sand socks size chart is applicable only for the US. Size XXS: Boys 1-2 & Girls 1-3. Size XS: Boys 2.5-4 & 3.5-6. Size S: Mens 4.5-6.5 & Womens 6.5-8.5. Size M: Mens 7-10 & Womens 9-11.5. Size L: Mens 10.5-12 & Womens 12-14. If you are between two sizes, I highly recommend you to choose smaller size because tight feet keep sand out and after 2 or 3 use it will be ok.
Where can I find sand socks near me? I highly recommend you to buy from Amazon because they have 100 options for you according to your need and budget. Check bestselling soccer sand socks in Amazon. How do I clean my sand socks? Most sand socks are machine washable. You can also clean them on your own hand with soap and cold water. These are the best sand socks for beach soccer. Anyone you buy will protect your feet and help you to improve your performance. If you buy any pair of them, let me know its performance at the comment section below. I will update the review. To play beach soccer, you first need a high-quality beach soccer ball. Check our beach soccer ball reviews to find out the most suitable ball for you!